1. Put chicken and seasoning packet, lime juice in food proccessor and chop. 3. 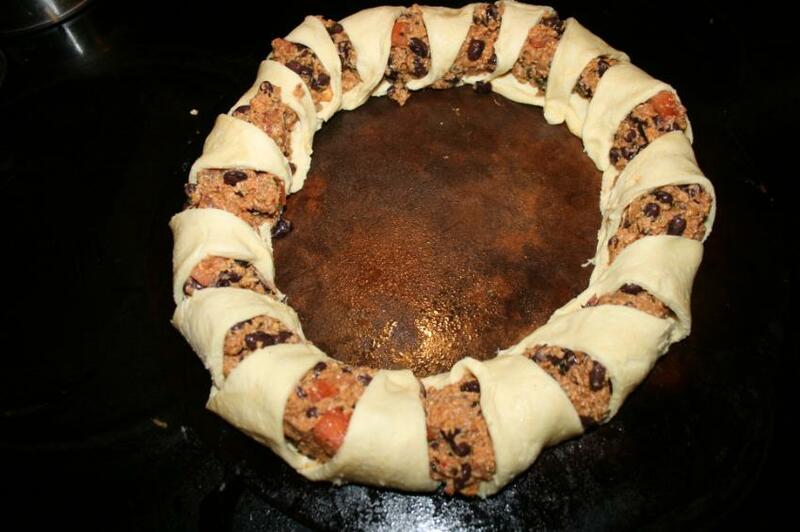 Make crescents into a ring. Use a spoon to spread the mixture on the fat part of the ring. 4. Fold tips over and press to make it look picture above. 5. Bake on second to bottom rack of oven. 275 degrees/ 15-20 minutes. Until brownwed and bottom of crescents cooked through.